Brace yourselves for yet another ill-conceived 3D extravaganza. Here it is, folks. The silliest suit of armor I have ever seen, and that includes the Vegas showgirl outfits worn by the gods and goddesses in Immortals. That’s Ian McShane inside that ludicrous golden nightmare, playing King Brahmwell. Beside him rides Ewan McGregor as Elmont, leader of the king’s knights. In this version of the classic fairytale Jack and the Beanstalk, Jack takes his horse to market to sell it because his uncle’s farm is in trouble. 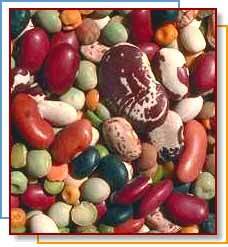 He crosses paths with a monk who talks him into trading the horse for some “sacred” beans. This is Jack, played by Nicholas Hoult. Is he not the very image of the word “feckless”? Jack doesn’t know it, but the monk is very much in need of a fast horse, given that he just stole those beans from Lord Roderick. 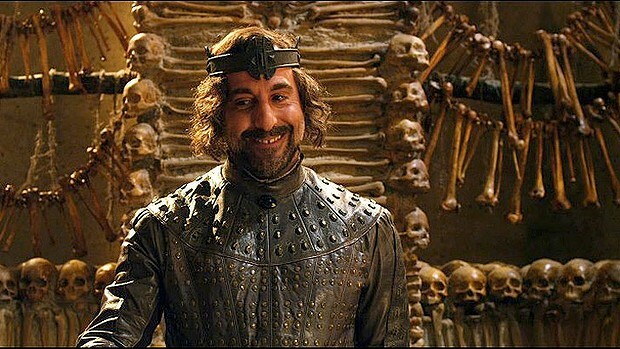 The best thing I can say about Lord Roderick is that he’s the Bad Guy, played by Stanley Tucci who is always worth watching. King Brahmwell’s daughter Princess Isabelle is in town incognito when Jack arrives intent on selling the horse. She is accosted by brigands and Jack steps in to save the day. It’s “crush at first sight” for these two. What a pity the King thinks Isabelle should marry Lord Roderick. Gee, I never saw that coming! Behold Elinor Tomlinson, who plays Princess Isabelle. One can see how the movie traumatized the poor lady’s fashion sense. This is how she chose to appear at the movie’s premiere. Jack’s uncle is not at all thrilled to know Jack got suckered into accepting this handful of beans. The beans get pitched out the window. A storm blows up. Isabelle, determined to escape marriage to Lord Roderick, gets out of the castle again and takes shelter from the storm in Jack’s house. A little rain is all one of the “sacred” beans needs. Whoosh! Up grows the beanstalk, taking Jack’s house and Isabelle with it. For some strange reason Jack can’t manage to hang on to anything and gets left behind in a puddle. I guess this means Jack will just have to brave the beanstalk and rescue poor Isabelle! I can’t even begin to describe the convoluted goofiness that goes on from there. Everybody is trying to get their hands on the magic crown that enables the wearer to control the giants who live up at the top of the beanstalk. Controlling the giants is a very good idea, because they really don’t like humans, except as fiber in their diet. The humans who don’t get eaten leg it back down the beanstalk and take refuge in the castle. Elmont dumps oil in the moat and sets it afire, but that’s still not enough to keep the giants at bay. The leader of the giants, a two-headed heart attack named Fallon, has gained possession of the magic crown. Here’s Fallon. Makes Gollum look like Tom Cruise. Elmont, Isabelle, and Jack are about to become a hero sandwich when Jack throws the last magic bean down Fallon’s throat. The bean lands in Fallon’s belly and immediately begins to grow, tearing the giant apart from the inside out. Could it get any more disgusting? Especially in 3D. I almost went to see this movie, then decided I’d wait for the DVD. Still haven’t seen it yet. It’s not very high on my list. You are not alone. Imagine all the humans who go up the beanstalk playing a game of “Hot Potato” with the magic crown. Then the giants show up and start eating people. That’s the middle of the movie. I’ve actually seen a golden suit of armor rather like that! It belonged to Henry VIII, in his less-than-svelte middle ages, and was in the White Tower’s armory…of the two, I think I might prefer the movie version! Really? Even to the extent of those goofy little trees on the helm? oooh this is a bad movie. I can’t believe I actually sat through it from beginning to end. I’m happy to provide a public service!